Last summer, Phil Southland and his Team Type 1 riders won first place in the 2006 ultra-marathon 3052 mile Race Across America (RAAM). Building on last year's success, the team is training to win the 2007 RAAM in June. Team Type 1 is comprised of eight inspirational cyclists, all people with type 1 diabetes, who will race for the second year in the ultra-marathon 3052 mile Race Across America (RAAM). Stay tuned for team and race updates. The Ride to Cure Diabetes is a unique and exciting way to fight diabetes. 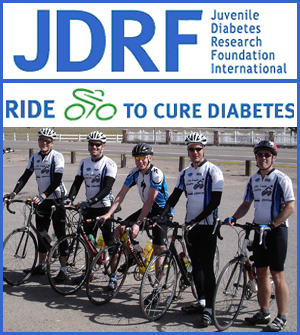 Participants choose from one of five Ride locations and bike for their choice of distance (usually between 30 and 100+ miles) to raise money for the Juvenile Diabetes Research Foundation International (JDRF). To Spread Diabetes Awareness Through Athletics and Leadership. Insulin Factor is an athletic team of people with diabetes. Anyone with diabetes is welcome to join. 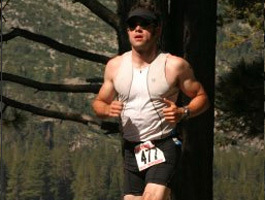 Insulin Factor competes and participates in a wide array of sporting events, including: 5k, 10k, marathon, triathlon, century rides, winter sports, and many others. Our secondary mission is to have fun and show the world that people with diabetes can do anything. If you or someone you know is athletic and has diabetes, please join Insulin Factor.